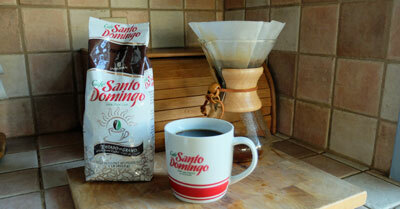 Café Santo Domingo coffee from the Dominican Republic. First off, many thanks to the owners of the Dominican Sierra Group for sending us some bags of their Café Santo Domingo, along with a handsome mug for our tasting. Café Santo Domingo has been produced by the Perello family for over 60 years and is by far the most widely enjoyed coffee in the Dominican Republic. 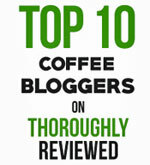 But, along with all coffees from there, it is not widely known or available here in North America. And that’s a pity, because the Dominican Republic has ideal coffee growing conditions and produces very high quality coffees. OK, onto the brewing and tasting. As you can see from the photo, we used a Chemex brewer to make the coffee. The Chemex is my favorite for serious tasting as it allows me complete control of the process. 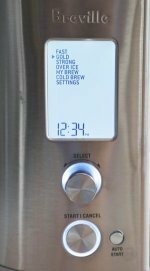 I also use scales to weigh the coffee, a measuring jug to measure the water and a thermometer to make sure the water is at the right temperature. Why all the fuss and trouble? Because while it is easy to make a decent cup of coffee, it is a lot harder to make a perfect cup of coffee that reveals all the subtleties of its flavor. At the first sip, this Café Santo Domingo surprised us a little. 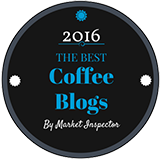 It’s a medium-roast coffee, but it has a bold taste we would normally associate with a darker roast. That said, the medium roast allows for the more subtle flavors to come through. And that’s certainly the case with this coffee. The feeling in your mouth is full and bold, but there are plenty of layers of flavor in there as well. The acidity is there, but not too striking. And there is a nut-toned chocolaty taste that is subtle, but definitely present. That’s where this coffee’s sweetness comes from. The sweetness is balanced not only by the acidity, but also by a fruitiness somewhere between berries and citrus. All these flavors balance nicely in the mouth. Nothing dominates too much. In other words, this is an excellent coffee. Surprisingly bold, lots of flavors, and well balanced.